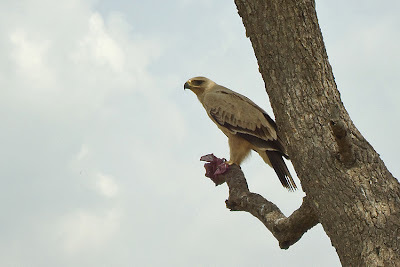 Our friends Nicoletta Dominicis and Giorgio Busacchi have sent us pictures of two beautiful birds of prey that they have photographed in Kenya. 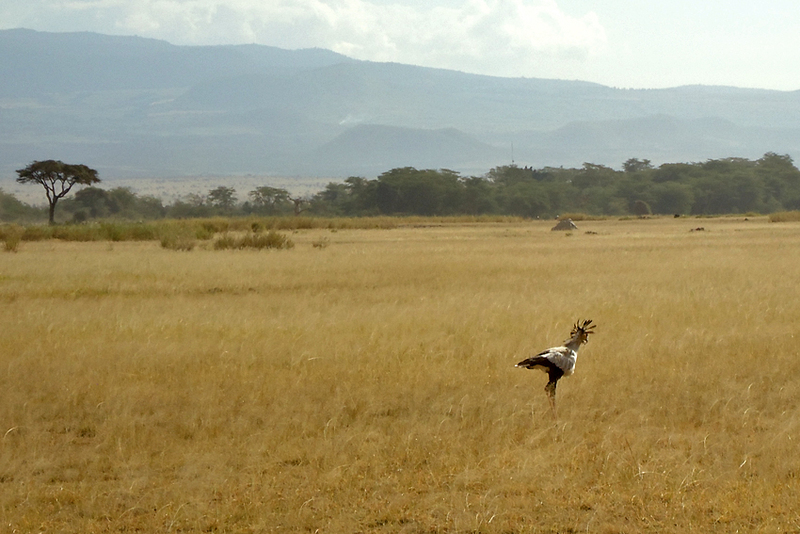 Here below a Secretary Bird in the Savanna and a Tawny Eagle. A new paper on raptor migration in the Sahara desert has been published in PLoS ONE. 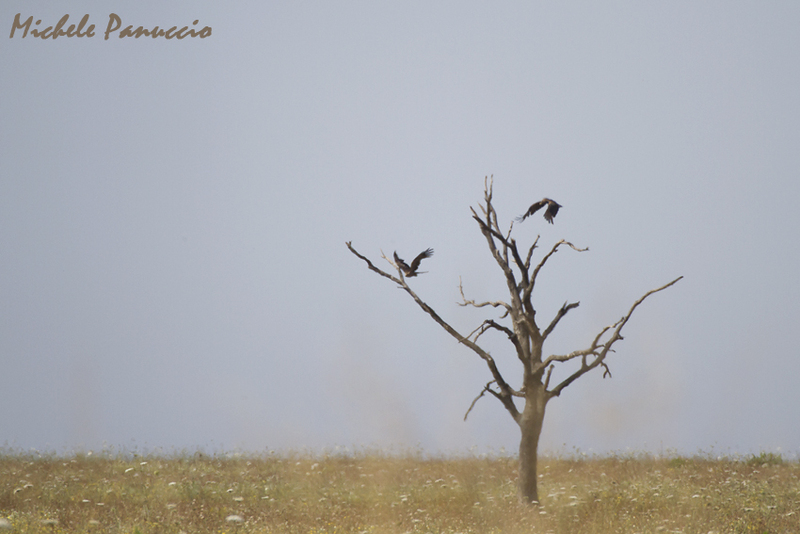 It deals with species such as Osprey, Marsh harrier, Egyptian vulture and Short-toed eagle and highlights the importance of wind conditions to increase flight speed during the crossing of this ecological barrier. Mellone U, Klaassen RHG, García-Ripollés C, Limiñana R, López-López P, Pavón D, Strandberg R, Urios V, Vardakis M, Alerstam T (2012). 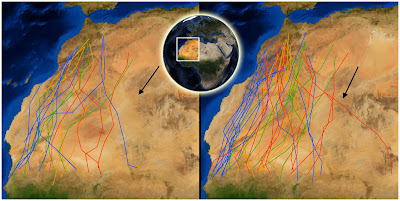 Interspecific Comparison of the Performance of Soaring Migrants in Relation to Morphology, Meteorological Conditions and Migration Strategies. PLoS ONE 7(7): e39833. doi:10.1371/journal.pone.0039833. 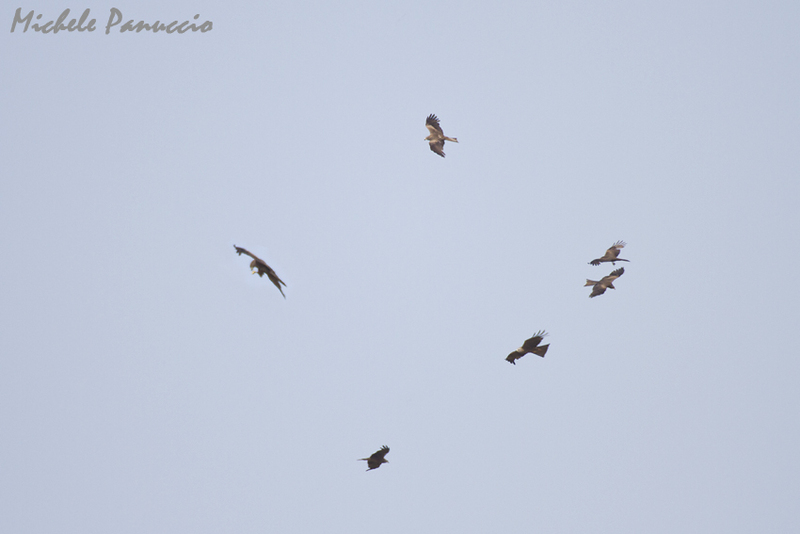 Yesterday in the late morning a flock of at least 41 Black Kites was observed hunting for flying insects. 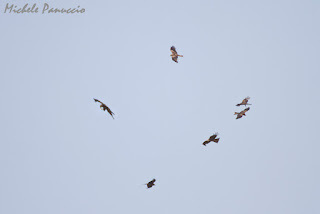 The observation was made in Decima Malafede Natural Reserve, south-west of Rome (Central Italy). 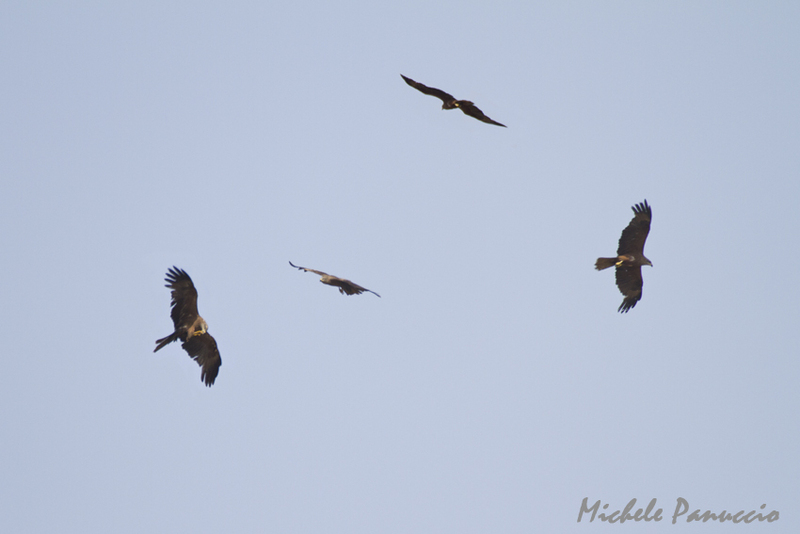 The Black Kite is an opportunistic feeder that exploits peaks of food resources. 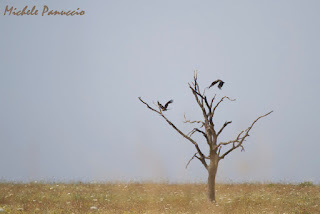 Similar hunting activities were reported during migration in Israel where flocks of Black Kites were observed hunting for flying termites and locusts. While it is known that this species forages in communal hunting grounds. 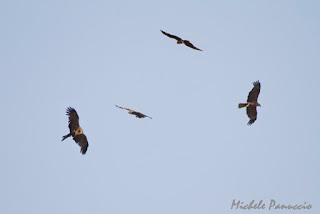 Here following some pictures of this event.